EveryStep is proud to care for and support veterans. Each day, our staff and volunteers strive to provide compassionate care for all of our patients. When it comes to caring for veterans, EveryStep understands the important of acknowledging and remembering our patients' service to our country. Through our Veteran-to-Veteran Program, EveryStep hosts Veteran Pinning ceremonies to provide honor and dignity to veterans at the end of our patients' lives. The ceremonies include the Pledge of Allegiance, a prayer of thanks, the awarding of a veteran service flag pin, the signing of “God Bless America,” a reading of What is a Veteran, and the presentation of a certificate of recognition. Today, on National Vietnam War Veterans Day, we'd like to take a look back at the programs and volunteers that help EveryStep honor veterans. When Jim Keller returned from Vietnam, he wasn’t greeted at the airport by throngs of loving community members. In fact, he wasn’t thanked for his service for nearly 30 years. Over the years, he says he “mellowed out,” but he never forgot how it felt to come home and feel unwelcome. It’s this experience that Keller uses to shape what he does every day: give back to humankind. Whether spending time with fellow veterans as a volunteer with EveryStep Hospice, or working on the expansive Welcome Home Soldier Monument in Albia, Keller’s service to country and community continues. 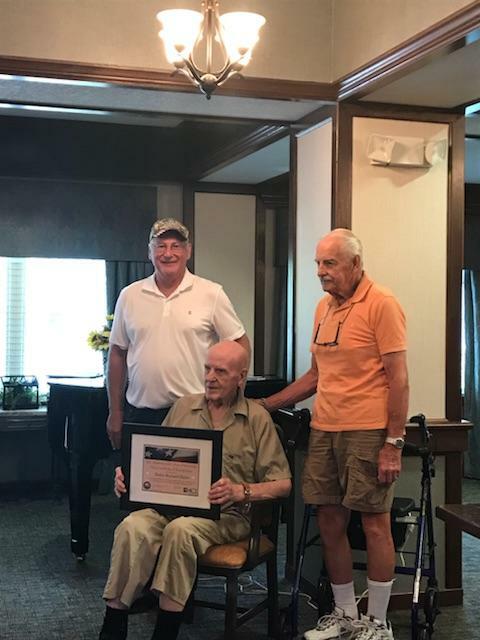 The Vietnam veteran and 70-year-old Albia resident had toyed with the idea of volunteering with EveryStep Hospice for years before finally making the leap. Now, he’s one of the Centerville team’s most counted-on veteran volunteers. “It’s not about me, it’s about them. There’s just something about a veteran meeting a veteran,” Keller says. 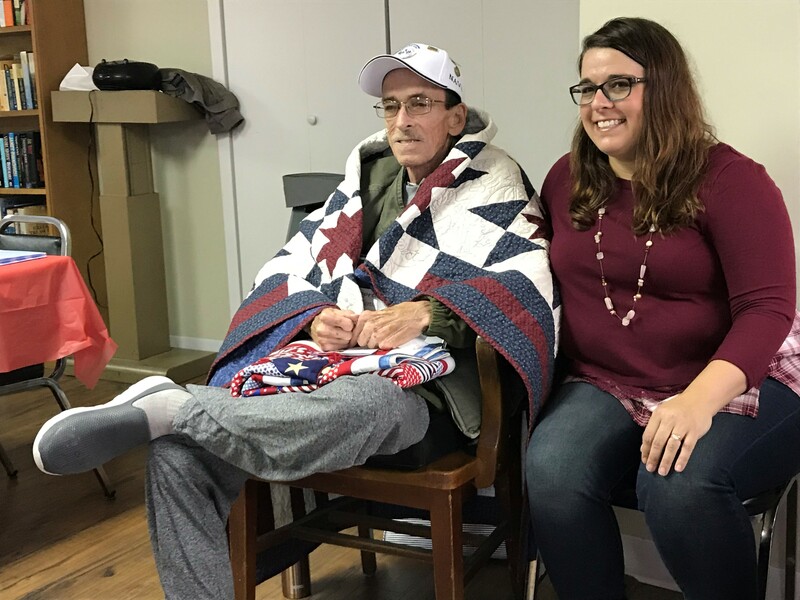 Vietnam veteran, and EveryStep Hospice patient, Robert “Bob” Gerard was recently honored for his service during a veteran pinning and Quilts of Valor presentation. The Libertyville resident and retired teacher, who received a Presidential Unit Accommodation and Vietnam Service Medal for his time in the Navy, passed away Nov. 20 at his home. “This was a special experience for my father that meant the world to him, myself, and our family,” Gerard’s daughter, Dorae Rippey said of the ceremony. 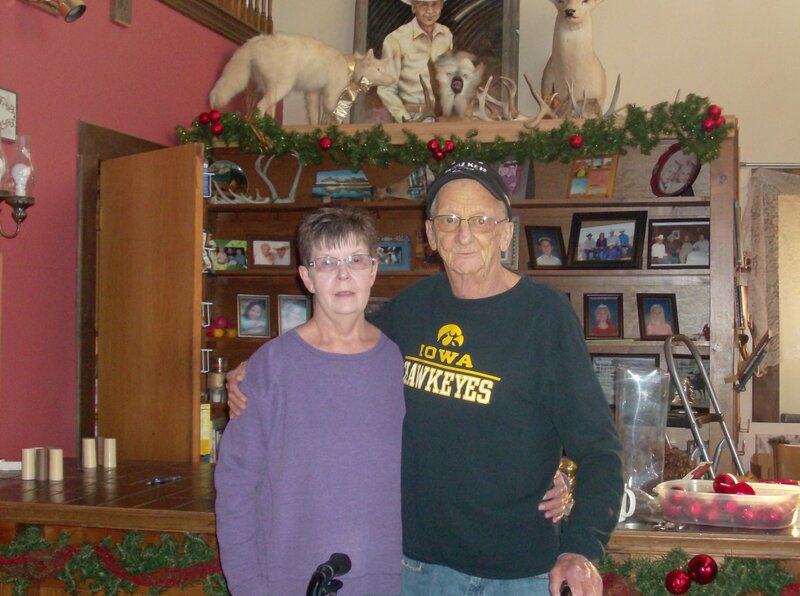 Michael and Phyllis Olszewski were set to leave their longtime home of Mt. Ayr behind to follow Phyllis’ daughter, Tara, and her family to their new home in Gordon, Nebraska. The couple had watched their grandchildren grow and developed a special bond. It only made sense that they would make the move, too. However, that plan ended abruptly in late August, when Michael, a Vietnam veteran, was diagnosed with pancreatic cancer. Instead of moving to be closer to their grandchildren, the Olszewski’s stayed behind in Mt. Ayr where Michael began treatment. In the time since Michael began his treatment, the Olszewski’s have endured several significant changes. First Tara and her family moved, then Michael lost his job, and the couple moved from their longtime home into an apartment in Mt. Ayr. In late September, Michael was admitted to EveryStep Hospice. It was around this time, that Michael’s nurse Barb began talking to the couple about their desire to visit their grandchildren; to see where they would grow up and go to school, and go on one last adventure. Unfortunately, due to their financial situation, Michael and Phyllis were unable to make the trip. That’s when the EveryStep Foundation stepped in, making the couple’s wish to visit Gordon a reality. Michael’s care team, along with social worker Sarah Adamson, received support from the EveryStep Foundation to arrange for the trip to Gordon and the Badlands in South Dakota, providing the couple with funds for lodging and meals for the nearly nine-hour drive.